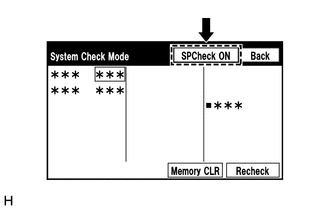 (a) Enter the "System Check Mode" screen. Refer to Check Speaker in Operation Check (See page ). (c) Measure the resistance between each of the front No. 2 speaker assemblies and the radio and display receiver assembly to check for an open circuit in the wire harness. (a) Disconnect the E28 and E29 front No. 2 speaker assembly connectors. (b) Disconnect the H1 and I1 front No. 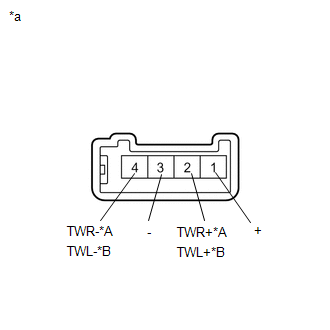 1 speaker assembly connectors. (c) Measure the resistance between each of the front No. 1 speaker assemblies and the front No. 2 speaker assemblies to check for an open circuit in the wire harness. (d) Measure the resistance between each of the front No. 2 speaker assemblies and body ground to check for a short circuit in the wire harness. 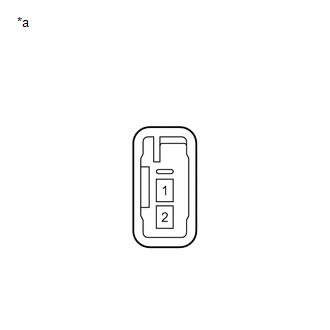 (a) Check that the malfunction disappears when a new or known good speaker is installed (See page ). (b) Disconnect the J4 and K4 rear speaker assembly connectors. 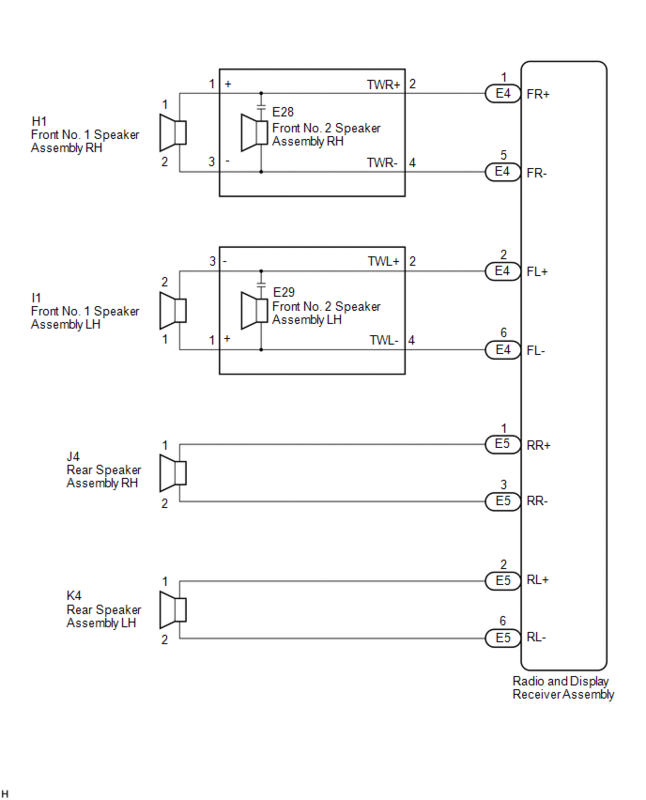 (c) Measure the resistance between each of the rear speaker assemblies and the radio and display receiver assembly to check for an open circuit in the wire harness.